Both the GVF and the deformable contour formulations can be readily extended into three dimensions. In fact, 3D GVF has the identical formulation as the 2D GVF described in Eq. (11) since it is written in a dimension-independent form. Examples of work on 3D deformable models, known also as deformable surfaces, can be found in [5,15]. 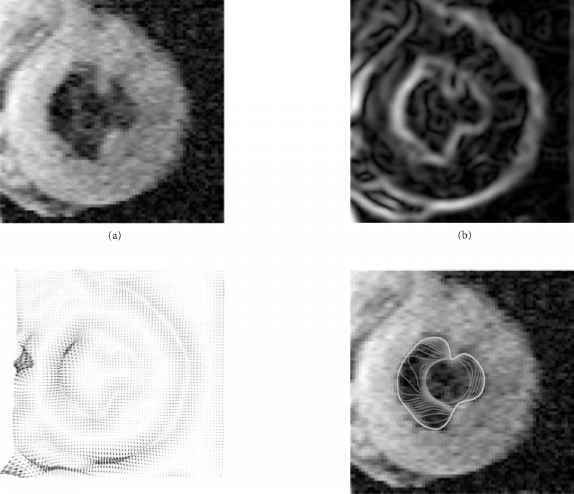 FIGURE 6 (a) A 160 x 160-pixel magnetic resonance image of the left ventricle of a human heart; (b) the edge map |V(Ga * I)| with a = 2.5; (c) the GVF field (shown subsampled by a factor of 2); and (d) convergence of the GVF deformable contour. Reprinted from C. Xu and J. L. Prince, Snakes, shapes, and gradient vector flow. 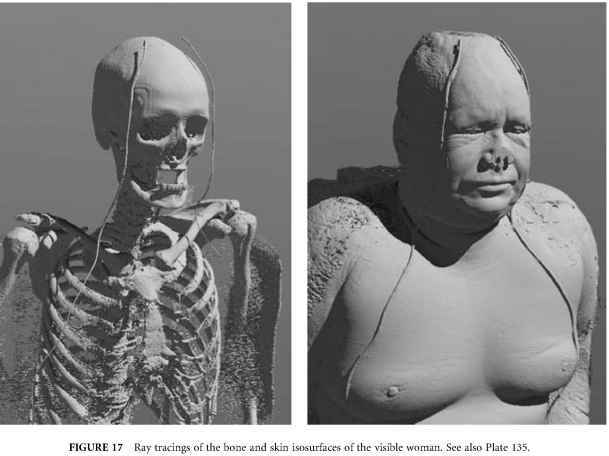 IEEE Trans, on Image Processing, 7(3):359—369, March, 1998. ©1998 IEEE.